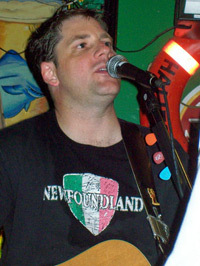 What makes KeelHaul.ca a unique band is that they are all from Newfoundland, one way or the other, and the music they play they come by honestly. 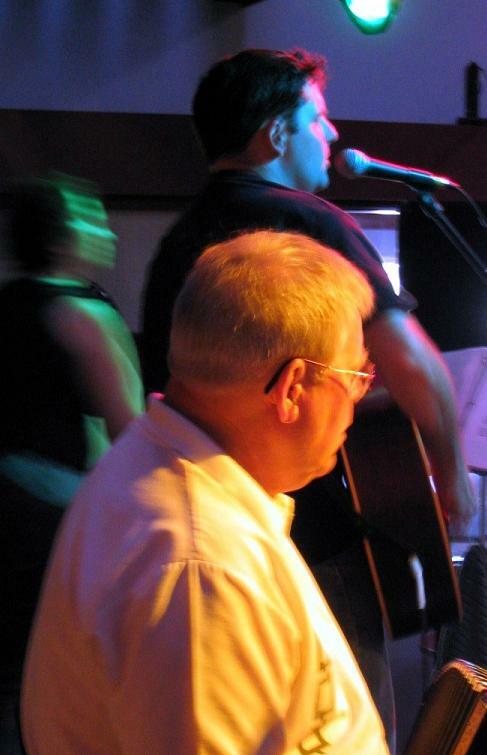 From his earliest memories, music has always been part of Wayne's life. Bringing the party to life is just something that he does naturally. If it has strings, he'll play it... or try to play it. Inspired from everything from Rock to Jazz and all the way back, it often slips into the way he plays Traditional music with syncopated beats and unusal chord choices. Sue was raised with the Newfie Bullet practising in the living room and playing kitchen parties more often than not. 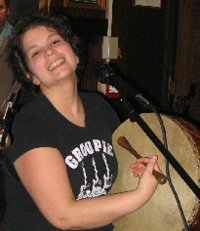 Her love of the images in her head led her to pick up a bodhrán and hit the road with KeelHaul. Mandolin banging, drum smashing and party crashing are traits that she brings to every show. Sadly, Dave passed away in April of 2016. His contribution to the group was what kept the Sails of the KeelHaul ship Billowed. His picture and Bio remain in his Honour. From his home in St. John's Newfoundland to Europe and back to North America, Dave's accordion has never been far from his side. 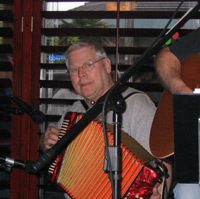 Playing in the melody style of Harry Hibbs, every once in a while, Dave will step out and play a jig, or old-time waltz.